Based on the 1960s British sitcom of the same name, this comedy follows the exploits of the part-time soldiers of the Walmington-on-Sea Home Guard during World War II. As the war nears its end, the platoon receives a visit from a beautiful female journalist just as they begin to suspect there may be a German spy among their ranks. The Walmington-on-Sea Home Guard may finally have an opportunity to impact the war. 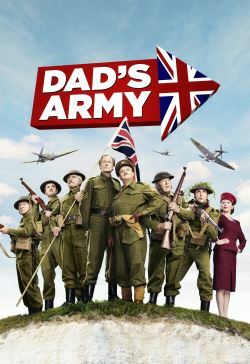 Directed by Oliver Parker, Dad's Army stars Academy Award winner Catherine Zeta-Jones, Bill Nighy, Michael Gambon, and Toby Jones.